Home / Unlabelled / Governor Obiano makes Case for National Day in Honour of Zik. Governor Obiano makes Case for National Day in Honour of Zik. A Welcome Address by the Governor of Anambra State, His Excellency, Chief Willie Obiano during the Commissioning of the Right Hon Dr Nnamdi Azikiwe Mausoleum on January 24, 2019. On behalf of the Government and people of Anambra State, I welcome everyone to the ancient city of Onitsha; host to the largest retail market in West Africa. I welcome you also to the hometown of the Great Zik of Africa; the legend in whose honour we are gathered here today. Finally, I welcome you all to Anambra State; Light of the Nation! Your Excellency, ladies and gentlemen, today is a very important day in the history of our country Nigeria and in the narrative of our dear Anambra State. On a personal level, I have looked forward to this day with joy and fulfilment. Today, my heart is filled with joy and laughter and I feel fulfilled that the Great Owelle of Onitsha is finally given the dignity he deserves in death. 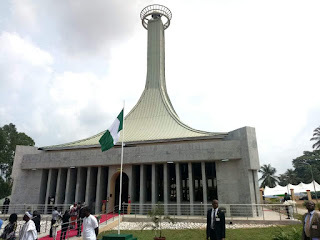 I'm happy that with the commissioning of this magnificent mausoleum, nna anyi Owelle can now rest with the full honour and dignity that befit a statesman of his stature. Your Excellency, ladies and gentlemen, this mausoleum took 23 years to construct. So many past administrations played politics with it; making empty promises that they never kept. But President Buhari has shown that he is a man of his word. He has completed the mausoleum as he promised and now, the Great Zik of Africa, the most distinguished of Nigeria's founding fathers, has been finally given a befitting resting place. We must thank president Buhari for this. It is gratifying to finally see the true meaning of the line in our National Anthem that says "the labour of our heroes past shall never be in vain." Sincerely, with this mausoleum, the Great Zik of Africa has been reassured of the gratitude of the country he lived and died for. And with this mausoleum too, the Great Zik joins other illustrious sons of Africa whose remains currently rest in befitting mausoleums across the continent. I'm talking about leaders like Angola's Agostinho Neto whose mausoleum towers above the city of Luanda. Standing at over 393 feet, Neto's mausoleum is taller than the famous Statue of Liberty in New York and the Big Ben bell-tower in London. I'm also talking about leaders like Kwame Nkrumah of Ghana and Julius Nyerere of Tanzania whose mausoleums have become major tourist destinations in Accra and Butiama respectively. I have no doubt that Zik's mausoleum will become an important landmark in Eastern Nigeria and a worthy addition to the numerous tourism offerings of our great state. Indeed, Mr President, we are grateful for this gesture and we deeply appreciate you for it. 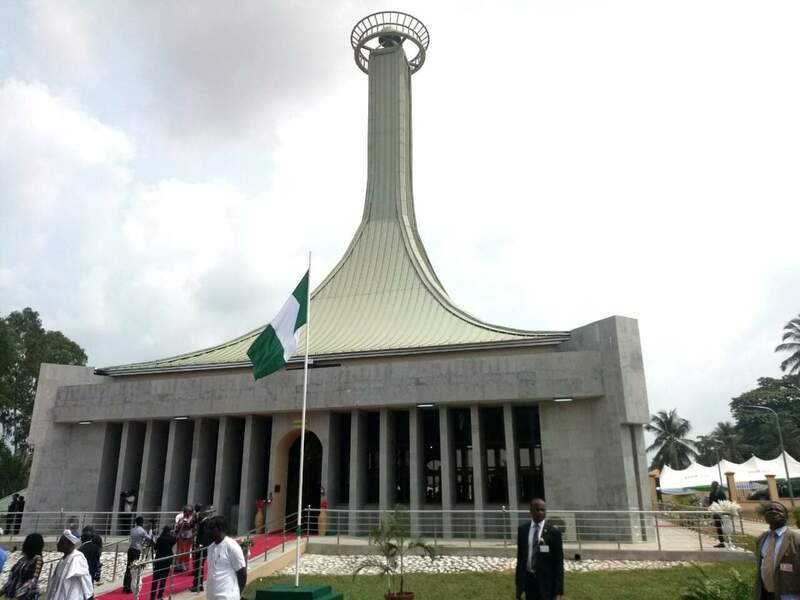 However, while we are thanking Mr President for this mausoleum, we also pray you to declare Zik's birthday, November 16, a National Day in Nigeria. This will be in keeping with the honour and dignity conferred on other great African leaders of his calibre. For instance, Ghanaians mark every September 21 as Kwame Nkrumah Memorial Day. Similarly, October 14 is Julius Nyerere Day in Tanzania while July 18 is globally known as the Nelson Mandela Day. It would therefore, be a thing of pride to all Africans if the federal government of Nigeria under you declares November 16 Nnamdi Azikiwe Memorial Day. It will be a day set aside for reflection on the life and times of the Great Zik and his Pan-Africanist struggles, his thoughts and philosophies. Your Excellency, I think that this gesture is long overdue. Once again, I want to thank you for the progress of work so far on the Second Niger Bridge. The contractor handling the project has confirmed to me that they have received mobilization to the tune of N30 billion so far. I visited there recently to see things myself. I'm happy that work is progressing at an impressive pace at the moment and I hope that we sustain the momentum until the bridge is completed. I have also seen the on-going reconstruction of the Umunya axis of the Onitsha-Enugu Expressway. That road was abandoned for several decades. We are grateful to Your Excellency for what you are doing in Anambra State and we pray you to continue to pay attention to other federal roads in the South East zone that have been abandoned for years. It is on this note that I'd like to welcome you once again to Anambra State.